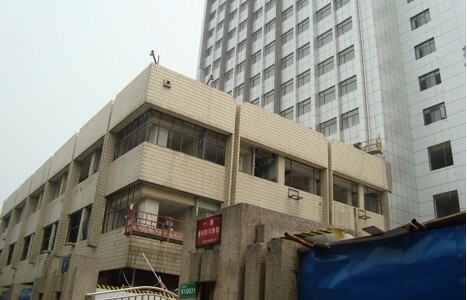 A review of the Sichuan Provincial Archives (四川省档案馆), Chengdu, China. The archives are open from 8:30 am until 5:30 pm, Monday through Friday, and from 8:30 am until 11:30 am on Saturdays. Lunch is from 11:30 until 12:30. From 12:30 until 2 pm on weekdays, and on the Saturday shift, one of the reading room workers is assigned the responsibility of watching over archive users. During these times, because only one person is on duty, it is not possible to photocopy items, request materials, or do anything other than look at items that you have already checked out. This means that, if you show up at 10am on your first day, you probably won’t see any materials until at least 3pm. On your first visit to the archives you should have a letter of introduction from your Chinese work unit (university) and your passport. If you have no official connection to a Chinese university, you may have a difficult time gaining approval to use the archives. An unofficial letter of introduction from a Chinese professor might help, but foreign students’ ability to access the archives without official Chinese university sponsorship seems to come down to luck. Once your introduction materials have been accepted, you will be asked to fill out a brief form and write down a description of your research topic. This is the extent of the registration process. The Sichuan Provincial Archives are most famous as the home of the Qing dynasty Ba County (巴縣) materials, which have their own dedicated table of contents in 54 volumes. The Qing catalogues are organized by reign period and then category (you can refer to the first page of any Qing catalogue volume for a summary of the organization of materials). Qing materials are viewed on microfilm. The archives have recently produced CD-ROM versions of the Qianlong, Jiaqing, and Daoguang holdings, but these are so new that the rules for access and use are as yet unclear. The archives also hold all of the provincial-level records from the Republican and Post-1949 periods, which are organized according to bureaucratic divisions, with each office occupying its own catalogue. If you haven’t already studied the Guide to the Sichuan Provincial Archives (Sichuan sheng dang’an guan zhinan 四川省档案馆指南) before your arrival, you can peruse the copy kept in the archives for public use. There is also a little-used desktop computer that may be used to search the archive catalogue using keywords. This is a good tool for those using Qing materials, but if you are searching for Republican sources be forewarned: the catalogue numbers in this system are all incorrect for Republican search results, so after finding what you want you will then have to re-find it in the physical catalogue in order to get the correct request number. Work at the Sichuan Provincial Archives tends to go smoothly, if slowly. One usually receives all of the items requested, and the archive workers are on the friendly end of the spectrum. The fees are semi-regulated, although sometimes negotiable. Regular surcharges are assessed for both materials requests (15 to 25 RMB per juan) and photocopying (10 RMB per page). They have recently introduced a ceiling of 150 pages of photocopying per foreigner per year. As a result, only the most well-funded and well-connected foreign researchers will be able to get a large amount of reproduced materials from the Sichuan Provincial Archives. Photography is absolutely prohibited in the archives, so don’t bother bringing a camera either. Instead, you will do best if you come prepared join the corps of grad students typing furiously on laptops. One may not be able to collect a large amount of material from the Sichuan Provincial Archives during a brief visit, but it’s a pleasant enough place to spend time, so an extended stay can be both productive and fulfilling. A final observation: located in Chengdu, the Sichuan Provincial Archives are true to local custom: work may be necessary to life, but in this town leisure is paramount. Expect every holiday to spill out into ‘activities’ and long lunches for days on each side, and don’t expect things to happen at the quickest possible pace. Be patient, enjoy the tea shops and restaurants in the alley off the side entrance, and good luck! Maura Dykstra is a Ph.D. Candidate at the University of California, Los Angeles. She used the Sichuan Provincial and Chongqing Municipal Archives during the 2010-2011 academic year. Her time at the Sichuan Provincial Archives was spent collecting materials on commerce, merchant dispute mediation, and the governance of trade in Qing dynasty Chongqing. Her forthcoming dissertation is about the history of commercial debt in Chongqing from 1875 to 1949. School Meals & Nutrition Policy in the U.S.